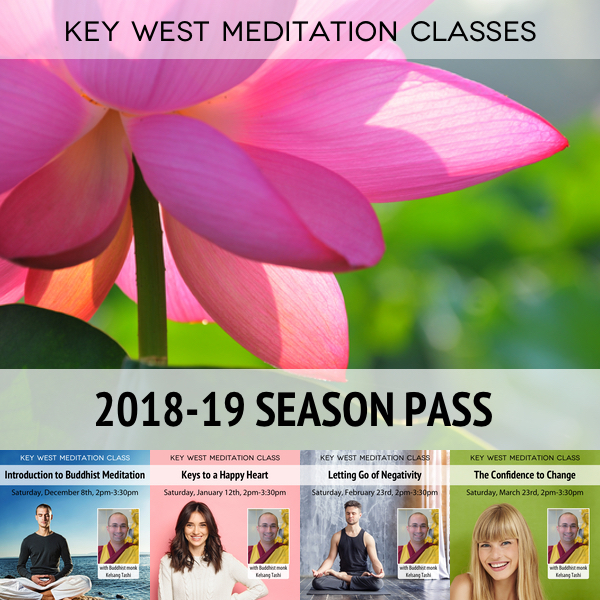 Includes all of our monthly meditation classes held in Key West from December 2018 – March 2019. This pass will be available to purchase online until Friday, December 7th, 2018. For those who would like to attend all our classes in Key West in the 2018-19 season, we are offering a special package including all four classes for a discounted rate. Please note that once the classes begin on December 8th, the season passes are non-refundable and no credits will be issued for missed classes. During this class we will explore how to use Buddhist meditation and mindfulness practice to bring a sense of balance, peace and clarity into our life and relationships. This talk is perfect for anyone who wants to start meditating on a regular basis and for those who have been meditating but would like to improve their practice. The class includes two guided meditations and practical instruction on how to meditate. Everyone is welcome! In this class we will practice simple yet profoundly beneficial meditations that empower us to generate feelings of peace, joy and loving kindness towards others anytime we wish. 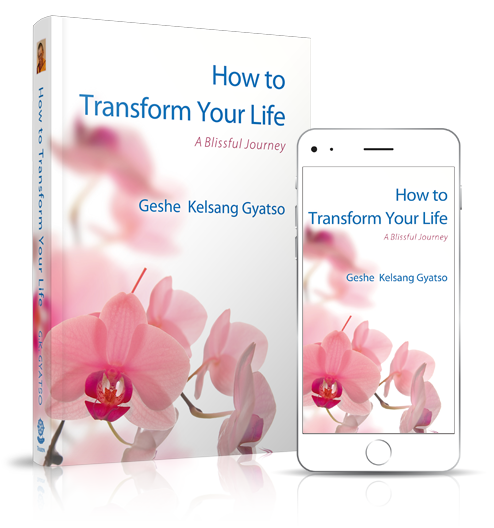 These meditations will bring great happiness and meaning into our life, and will have a beneficial influence on our interactions and relationships with others. We all have the potential to experience peace and happiness in our life. Through meditation and mindfulness practices we can unlock this potential. In this way we can improve the quality of our life and help others do the same. In this class we will explore practical ideas from the Buddhist tradition that will give us the confidence and inspiration to make positive changes in our life. Cancellation Policy: If you cancel 24 hours prior to commencement of the first class we will refund all except 25%. If you cancel on, or after, the first class, no refunds are given. Exceptions may be made in circumstances such as sickness or bereavement; you should apply by e-mail to ad@meditationinmiami.org within 2 weeks of the end of the event. Any non-refunded fees arising from cancellations are donated to the NKT-IKBU International Temples Project.